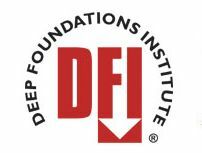 The Federal Highway Administration (FHWA) has partnered with the ADSC: The International Association of Foundation Drilling (ADSC-IAFD) on a comprehensive research project on post-grouted (also called base grouted or tip grouted) drilled shafts. 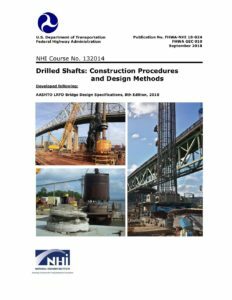 The FHWA and the deep foundations industry are very interested in the proper application and implementation of post-grouting for drilled shafts. The potential benefits of post-grouting have been demonstrated, and the industry has attempted to capitalize on these benefits in numerous ways. Some of these attempts have been successful while others have not, which has led to confusion and even misapplication of post-grouting technology within the industry. The project will include an extensive synthesis of existing practice and literature, evaluation of theoretical concepts, full-scale field testing, and comprehensive analysis of the field testing to develop design methods. Each phase of work will have a set of deliverables that will go through a rigorous review process. 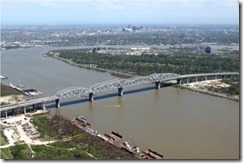 The project is anticipated to be completed sometime in 2014. To accomplish these objectives, a highly qualified and experienced team of practitioners and researchers has been assembled to execute this project. 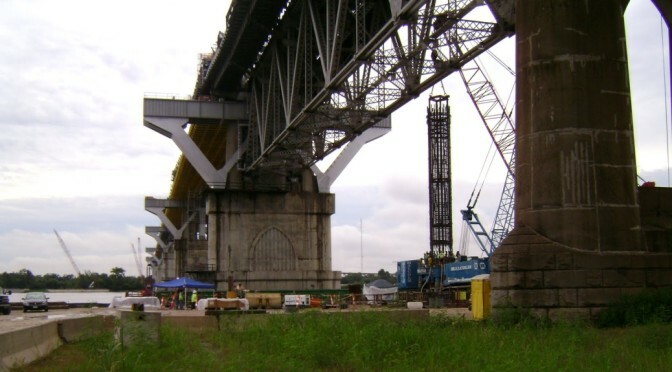 This team includes industry representatives from construction, design, and academia that can bring a variety of perspectives to the project as well as respond to input from the many stakeholders within the geotechnical and transportation design and construction communities that routinely implement this technology. Dr. Antonio Marinucci, MBA, P.E., of ADSC-IAFD will serve as Project Manager for the project and will be responsible for coordination and oversight of all project activities. Dr. J. Erik Loehr, PE, of the University of Missouri will serve as Principal Investigator (PI) with overall technical responsibility for the project including technical planning, data collection, synthesis, interpretation, and document production. Three Co-Principal Investigators (Co-PIs) will collaborate with Dr. Loehr to address the technical aspects of the project: Dr. Marinucci of ADSC-IAFD; Dr. Dan Brown, P.E., D.GE of Dan Brown and Associates, PC; and Dr. Jesús Gómez, P.E., D.GE of Schnabel Engineering Consultants, Inc.
Mr. Tom Armour, P.E., D.GE of DBM Contractors, Inc.
Mr. Allen Cadden, P.E., D.GE of Schnabel Engineering Consultants, Inc.
Dr. Miguel Pando, PEng of the University of North Carolina at Charlotte. To provide objective review and evaluation of project plans and deliverables at key stages of the project, a formal Peer Review Panel will be formed composed of representatives from throughout the drilled shaft industry. 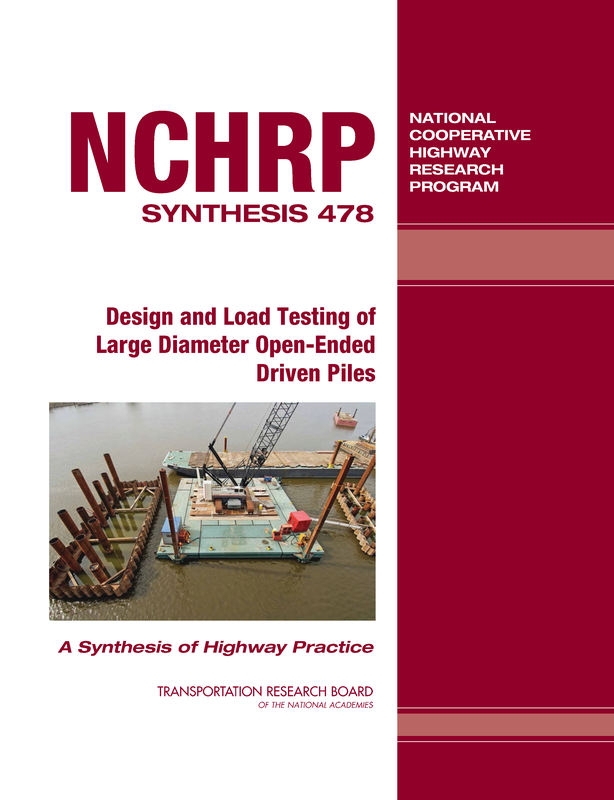 The peer review process will be coordinated through the drilled shaft technical committees of each of the major stakeholder organizations in the U.S.: the ADSC-IAFD Drilled Shaft Committee; the ASCE/Geo-Institute (ASCE/GI) Deep Foundations Committee; the Deep Foundations Institute (DFI) Drilled Shaft Committee; and the Transportation Research Board (TRB) Committee on Foundations of Bridges and Other Structures. The final component of the project team will be the ADSC-IAFD Contractor Members, Associate Members, and Technical Affiliates that will provide substantial in-kind contributions to meet the needs of the proposed experimental programs. Likely in-kind contributions from ADSC members will include provision of testing sites and facilities, construction equipment, materials, testing apparatus, as well as services necessary to complete the proposed project. The configuration of this team consisting of the PIs, the Advisory Panel and the Peer Review Panel will provide a thorough review process as well as “checks-and-balances” against any perceived or realized personal biases regarding the use of post-grouting with drilled shafts. It is believed that the recommendations resulting from this effort will reflect a consensus on the application, design and construction of base-grouted drilled shafts that will be accepted by the industry at-large. This should result in consistent application of this technique by the industry. 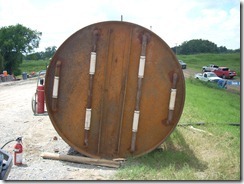 For a detailed description of the project, see the article linked below from May 2012 issue of Foundation Drilling magazine, available from the ADSC-IAFD. In the article, Dr. Marinucci provides the first in a series of updates that will be published reporting the progress of the research through the various phases of the project. We’ll provide posts here as new reports are released, as well as posts of all the action when field work gets started! During a recent trip to Taiwan, Steve had the opportunity to participate in a lecture on base grouted drilled shaft foundations. 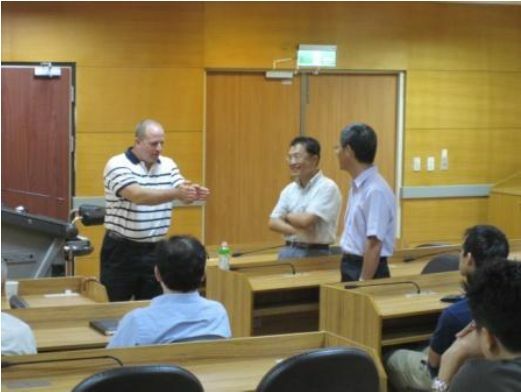 He was invited to speak at a meeting of the Chinese Taipei Geotechnical Society (CTGS), also known as the Taiwan Geotechnical Society (TGS), by Dr. Prof. San-Shyan, Lin, National Taiwan Ocean University (current president of TGS). The meeting was held at the National Taiwan University of Science and Technology. His visit on 21 June 2011 was noted in the August 2011 issue (Volume 5, No. 4, p82) of the ISSMGE Bulletin. 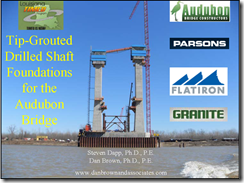 During his lecture, Steve talked about the experiences of DBA with base grouting drilled shafts at the Audubon Bridge and the Huey P. Long Bridge on the Mississippi River in Louisiana. Steve said that base grouting has become a very common technology in Taiwan for high rise structures supported on drilled shafts. The meeting is noted here on the TGS site. 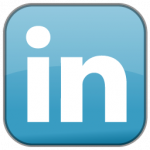 I have uploaded the presentation Steve gave at Geo-Florida 2010 on February 24th. You can find it on our Presentations page or by clicking the image below. Enjoy!